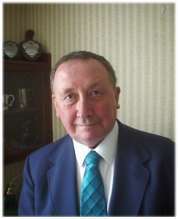 Welcome to the homepage of Frank Carstairs; managing director of Tecfacs Ltd and member of the Crouch Bowling Club and Crouch Lane Short Mat Bowls. Frank is former Chairman of the Lewes branch of the UK Independence Party. He was elected as Councillor for Sutton, Seaford Ward of East Sussex County Coucil on 5th May 2013 and stood down in 2017. Whilst standing for local election for this party he penned the following text. A keen patriot, he has written an insightful essay on the origins of the Union Jack. Frank has written some very thoughtful essays. If anyone is struggling giving up smoking or even happily smoking, it is recommended that you should read Frank's essay 'Journey through addiction'. Do you want Britain to leave the EU?